Kershaw County (pop. 61,697), west of Chesterfield County, is the only Kershaw County in the U.S.
Camden (pop. 6,838), the county seat, is the oldest inland city in South Carolina. 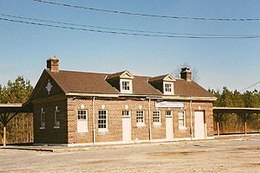 It was founded in 1786. Starting in the 1880s, Camden was a popular winter destination for wealthy northern families; it developed a tradition of equestrian activities. Today, Camden calls itself “The Steeplechase Capital of the World.” It hosts two major steeplechase events each year – the Carolina Cup and the Colonial Cup. Amtrak’s “Silver Star” – running between New York City and Jacksonville – stops at Camden’s old Seaboard Air Line Railroad Depot (1937). 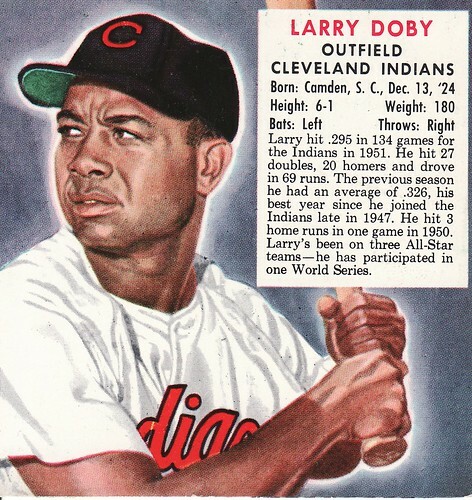 Larry Doby (1923-2003), the first African-American to play in the American League, was born in Camden. He joined the Indians in 1947 – a few weeks after Jackie Robinson joined the Dodgers.